Do something good with all that wood. Entries are due no later than September 1st. All entries will be exhibited in the Georgine Clarke Gallery at the Kentuck Art Center in downtown Northport beginning on September 6th and extending to the end of the month. If you have any questions, please email Alina at lifeathurricanecreek @ gmail dot com. Tuscaloosa tornado, our Hurricane Creekkeeper has been working overtime to remove fallen trees and tangled branches. It is a tremendous job, and he welcomes volunteers. 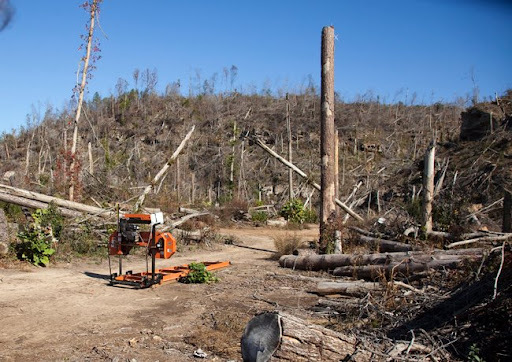 In the process of clearing fallen trees and woodland materials, we should aim for a disaster recovery which does not treat fallen timber as trash or debris and does not add more waste materials to our already-packed landfills. Can our community find ways to use this fallen timber to rebuild and restore our city? Can we use this wood to make art which reflects the natural beauty of nature in addition to the talent of local artists and visionaries? How can we turn this into hope for the future? 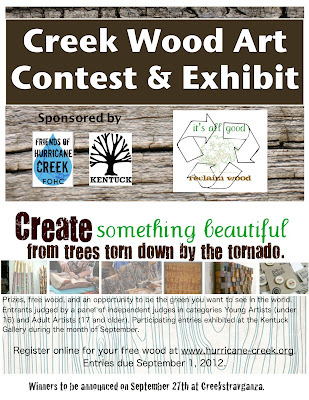 The Creek Wood Art Contest and Exhibit is planning to find out what happens when a disaster-torn community reclaims wood for beauty and hope. 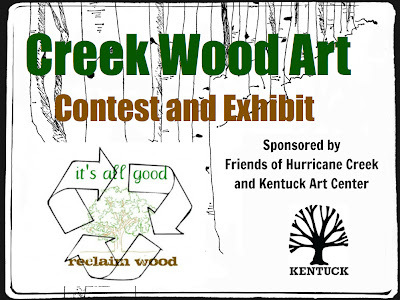 We are grateful to the Kentuck Art Center for their co-sponsorship and support of this contest and exhibit. The Kentuck Arts Center Newsletter for September 2009 describes our partnership with Kentuck in this effort. The deadline for entries will be September 1st, 2012. 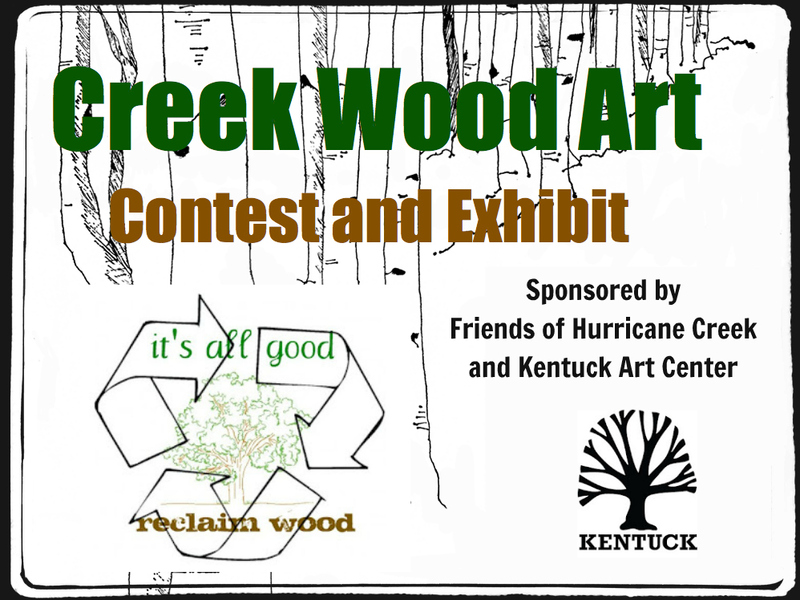 Finished entries can be submitted to the Kentuck Art Center on August 31st between 9 am to 5 pm and on September 1st between 9 am and 12 noon. Each entry must be submitted with an accompanying Entry Form filled out by the artist. Entry is free thanks to the kindness of our judging panel. 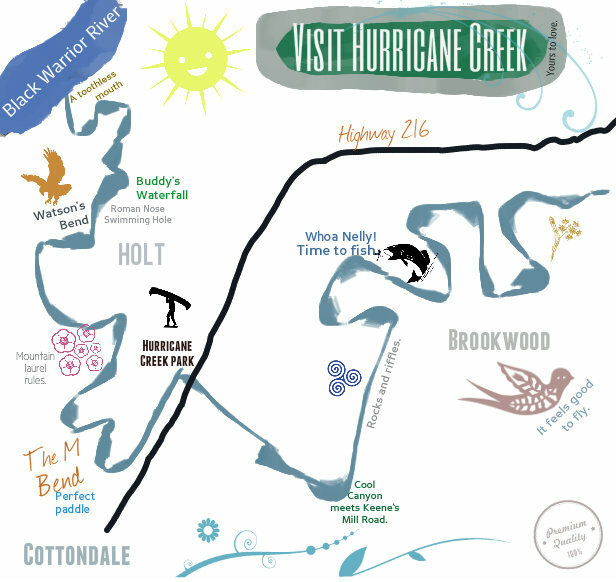 Winners will be announced and honored with prizes at the Friends of Hurricane Creek Annual Party, slated to take place in the Kentuck Courtyard on September 27th. Participants will have the opportunity to donate their entries to local families who lost their homes in the tornado. We are working with our local Habitat for Humanity to coordinate and manage the distribution to these families as "house-warming gifts" for their new homes. 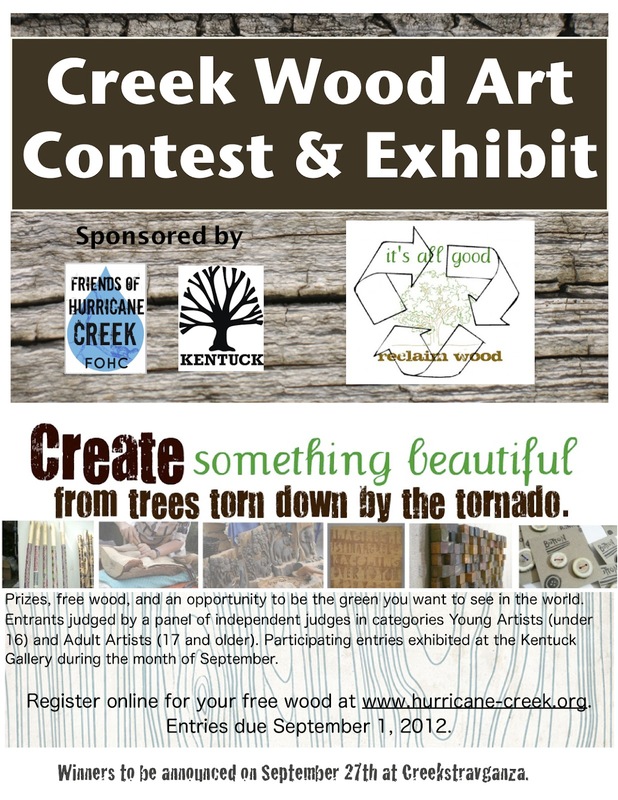 Judges will judge wood art based on its creativity and its potential for use in a local government building or community center as a memorial to the tornado. Entries will be judged in separate categories divided into Young Artists (16 and under) and Adult Artists. Print a PDF flyer to share with your local group or class. Print a copy of the rules and guidelines for entry. 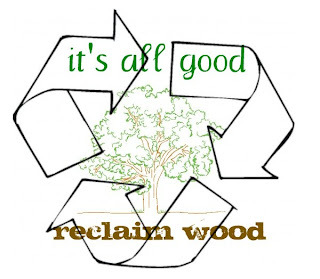 To select and pick up wood for individuals or groups, please fill out the following form. You will then receive an email with instructions on how to set up a time to procure creek wood. This is needed so someone can assist you in getting in to the campground gate (which is otherwise locked). Your information will not be shared with any other groups, individuals, businesses, or alien forms of life. Wood will be picked up at Watson's Bend. 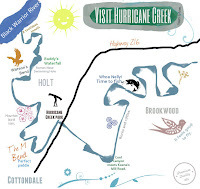 You can find a map and driving directions to the FOHC Campground at Watson's Bend online by enlarging the map below and clicking on the FOHC Campground icon. Use wood chips to create a wood collage. Consider painting the chips or sanding them to add depth and interest. Learn about the wood as you create with it. See Maurice Claubaugh's Contrast for inspiration. Use woodchips and wood to make pulp which can be then used to create handmade paper- a work of artistic craftsmanship in itself. Use stumps and pieces of wood to make a wall hanging. Get inspired by Olga's reclaimed wood art. Create a special wooden frame which honors tornado victims. Create a carved plaque using words and images of how trees and humans felt during the tornado. Sculpt and sand a bough. Make a mixed media painting using various items from creek wood, perhaps chips, branches, shaved tree knots, bark, stumps, and more. Cut a branch into small cubes. Then sand and whittle down each cube into a bead. Drill holes through the center and use a pen-knife to carve shapes into the beads.